The OET 1540 is a compact CWDM compatible Ethernet 3 port switch, designed to extend the reach of electrical Ethernet signals over long distances using a constant (fixed) high speed 1 Gbit optical transceiver speed. 18 selectable CWDM wavelengths are provided to enable the module to be used in a multiplexed CWDM environment. 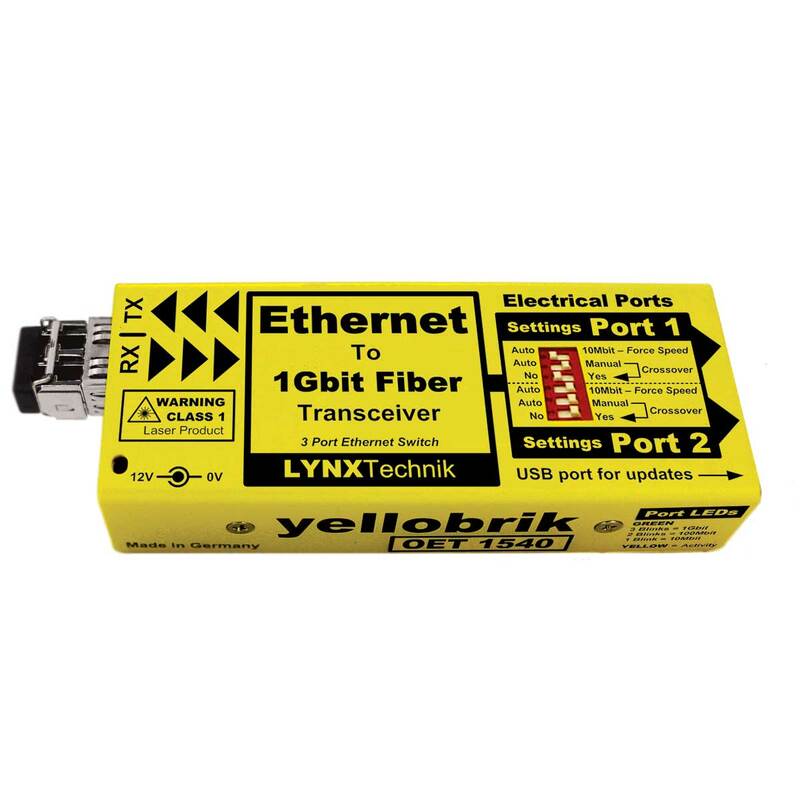 When paired with another OET 1540 at the receiving end (using two fiber links) you have a cost effective Ethernet extender system for distances up to 40km – providing a stable, high speed 1Gbit error free optical connection between locations. The OET 1540 has two standard RJ45 electrical Ethernet ports plus fiber I/O and functions as a 3 port Ethernet switch. For legacy system use; each electrical Ethernet port can be set for automatic speed detection (10/100/1000) or forced to 10Mbit, and each port can use auto crossover detection or be forced manually if needed. These functions are available using the dip switch.